Ladies and gentlemen, prepare your wallets for monetary departure. Keep your arms and legs inside the vehicle at all times and commence the downloading. Amazon is holding a "Digital Games Mayhem" sale offering deep discounts on downloadable PC games both new and old. Want that new Star Trek game after catching the movie this weekend? It's only $25. How about Saints Row The Third with all the DLC for $12.50. There's plenty of other goodies on sale too - LEGO Batman, Magicka, Total War: Shogun 2, Dark Souls and over 700 other titles. Obviously not all of them are co-op, but there is a lot of co-op goodness to be found. 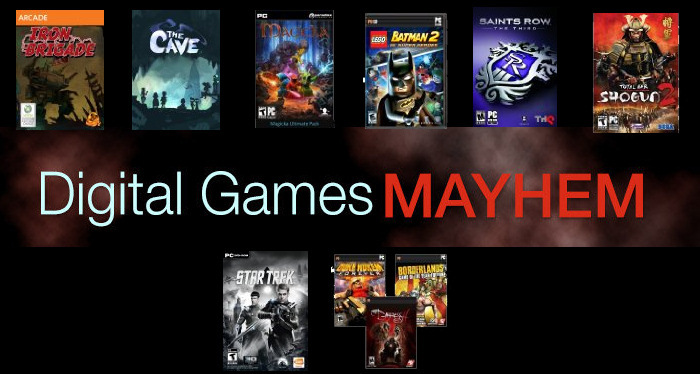 So head on over to Amazon to the Digital Games Mayhem sale - and good luck getting out of it unscathed. Page created in 0.7143 seconds.